Two of Extra Group subsidiaries' key brands that they represent are being shortlisted for the UK's prestigious CRN 2017 Channel Awards for Cloud Services. 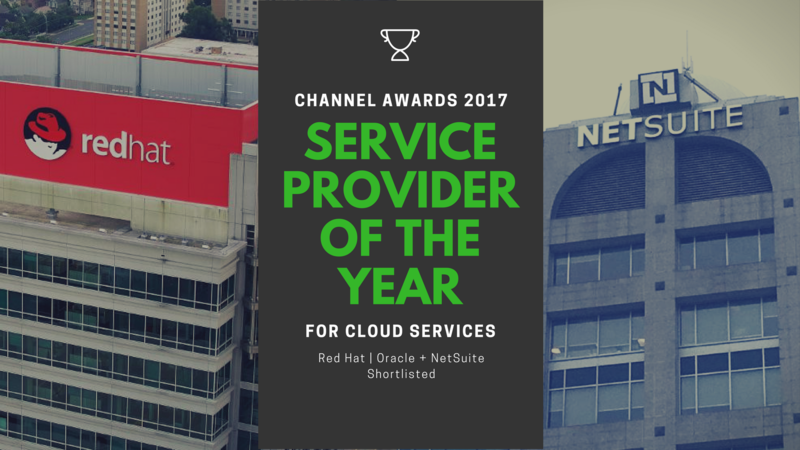 This year, NetSuite and Red Hat had been shortlisted for the Cloud Services Vendor of the Year award. Also shortlisted in the same category are Kaseya, Veeam, Navisite, and Microsoft, which was last year's winner. According to CRN, vendor awards recognize the overall contribution that top vendors are making to business development in the channel, particularly in terms of its product range and development, channel and marketing programmes, and service and support. The Cloud Services Vendor of the Year Award category was opened to all Cloud services vendors, whether they sell physical or virtual products. The category was open to datacentre specialists, Cloud-based software manufacturers or developers and providers of any type of Cloud service to the channel. To be shortlisted, the vendors entering must be able to show that they have helped their channel partners to build and grow a profitable business within 2016 and 2017. Now in its 24th year, the CRN Channel Awards has become an important awards event attended by more than 1,700 industry players. They are completely independent and rely on a 25-strong panel of industry expert judges that evaluate based on merit. The dual nomination and shortlisting of Extra Group's key brands that it represents reinforces the group's strength of offerings in the areas of Cloud technology. Extra Group's subsidiaries, Extra Red and Extra Vision are partners of Red Hat and NetSuite, respectively, in Italy.